Your frozen goods won't partially defrost while you unpack and add the new weekly shop thanks to SuperFreezing which freezes new goods faster when activated. 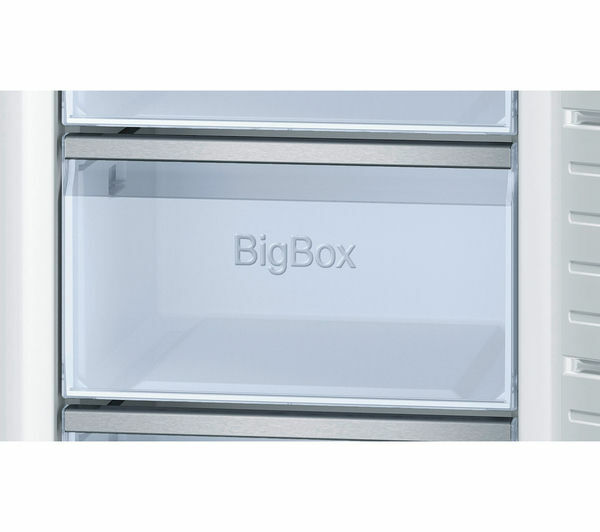 Say goodbye to manually defrosting your freezer - NoFrost technology automatically initiates defrost settings when too much ice build-up is detected. 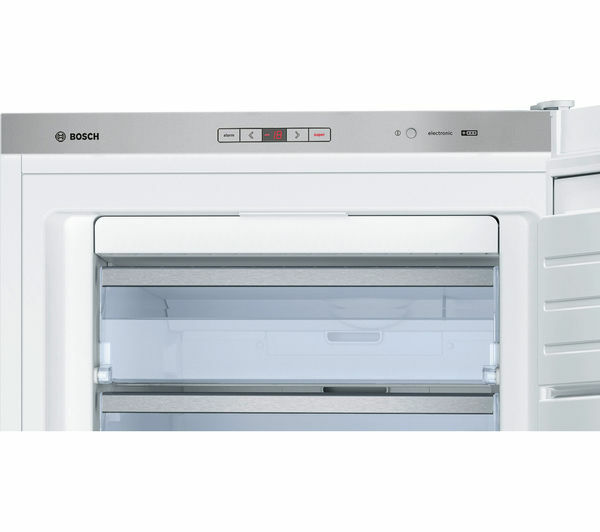 Freeze economically as this Bosch Serie 6 GSN58AW30G Freezer features an A++ energy rating, saving you money on your utility bills and staying kinder to the environment. Stock up for the whole family and make less trips to the shops when you utilise the whole 360 litre capacity on offer. Storing taller and bulkier items is hassle free in the VarioZone layout – where the glass shelves and door can be adjusted to your convenience. 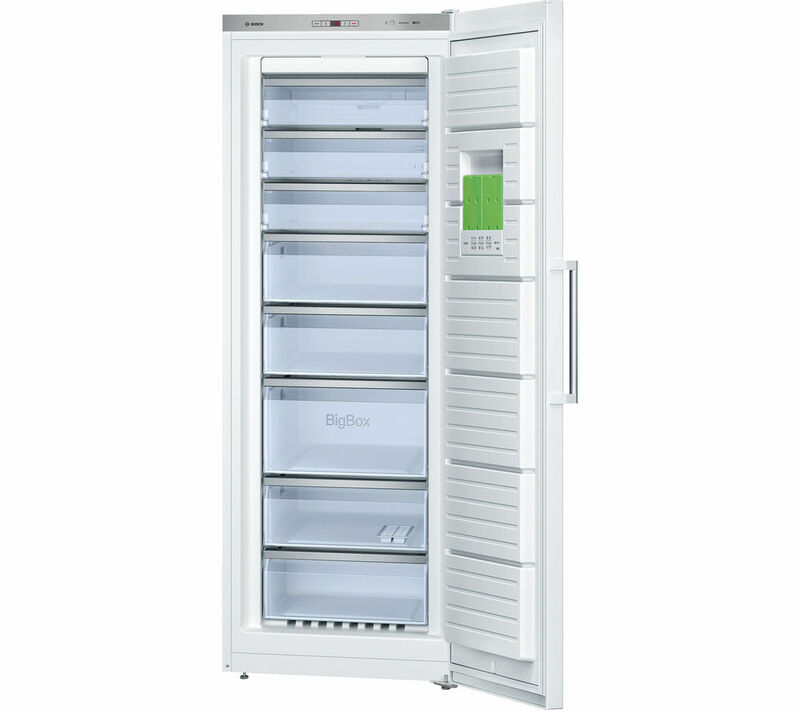 Food will retain its nutrients and flavour for longer with Multi Airflow technology which circulates cool air with gentle fans. 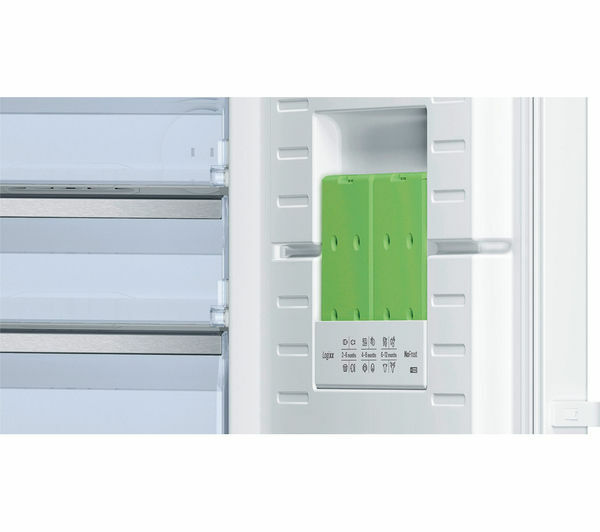 This technology ensures that all levels of your freezer are kept at an even temperature and at optimal freezing conditions. It's big and efficient. Really useful for storage. It not got any bad points so far. The drawers could be made of sturdier stuff.